Which mode is best for me? Home Page > Which mode is best for me? Eve Sizer teaching her level 8 English students. 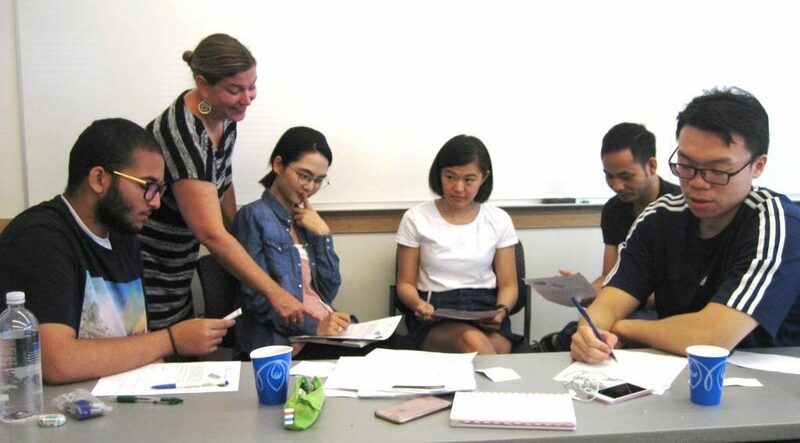 Washington Academy of Languages at City University of Seattle offers an internationally-recognized graduate level TESOL (Teaching English to Speakers of Other Languages) Program for teaching English here and abroad. You have three options for getting your graduate certificate. This mode is perfect for you if you are organized and have an excellent sense of time-management. 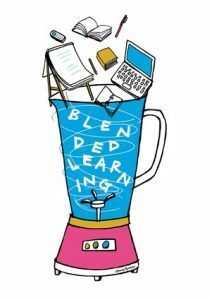 Online is for the independent learner who needs a flexible schedule. Courses can be taken from anywhere and are self-paced within each module and they may be taken out of sequence. As a student, you also should be self-motivated and resourceful as you set up your own observation sites. 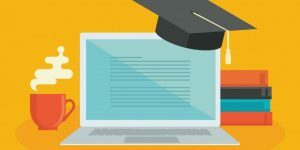 Students who choose the online mode typically take a little longer to complete their certificate due to their life circumstances, but the Certificate can be completed in as short as 5 sessions (2½ quarters or 15 weeks). Offered only in the summer, this mode attracts both students from all over the world and US residents wishing to teach abroad. Students who choose the in-class, intensive schedule are usually in a hurry and have a specific goal in mind. 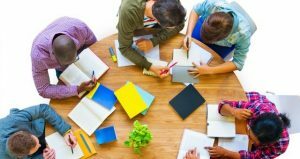 If you are the type of learner who likes to work with others and prefers direct in-class instruction, this option may be the best for you. Keep in mind, this mode is INTENSIVE, but in five weeks, you will have accomplished more than you thought yourself capable of and with that, a great sense of confidence. This third option was created for the working adult with a preference for in-class instruction. If you work Monday through Friday and need the structure of a more traditional classroom setting but have limited time, this may be the best choice for you. Students who opt for this mode are able to meet during four consecutive Saturdays per session and can commit to an additional 10 hours online. Here, you receive the benefits of both: flexibility, independence, and in-person attention. It is cohort-based, so you will take classes with your group.